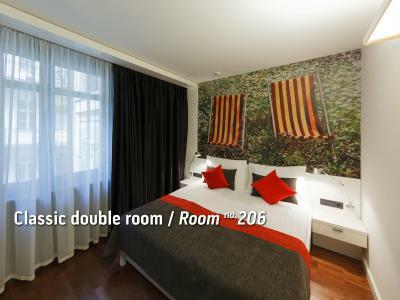 Lock in a great price for Bohem Art Hotel – rated 9 by recent guests! It was excellent! The staff , the food, near to all! We will come back of course! 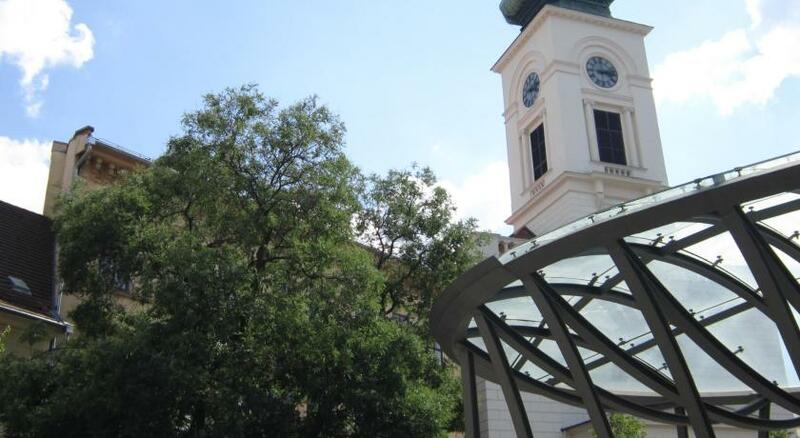 The location was great for touring both Buda & Pest. Fabulous breakfast! Friendly efficient staff! Fun funky art! Fantastic location! It is advertised to have an excellent breakfast but I found it quite regular with a touch of champaign on the side. However get up early or you'll find that not much is left after 10:00. Parking space is quite scarce around the hotel and crowded, but if you're lucky to grab a spot then you're all set. They have a paid parking service somewhere, didn't use it though. Anyway, you're basically downtown, very close to the Danube, with a lot of places in walking reach. Use public transportation if you plan a city sightseeing as tourist attraction can be quite far one to another. 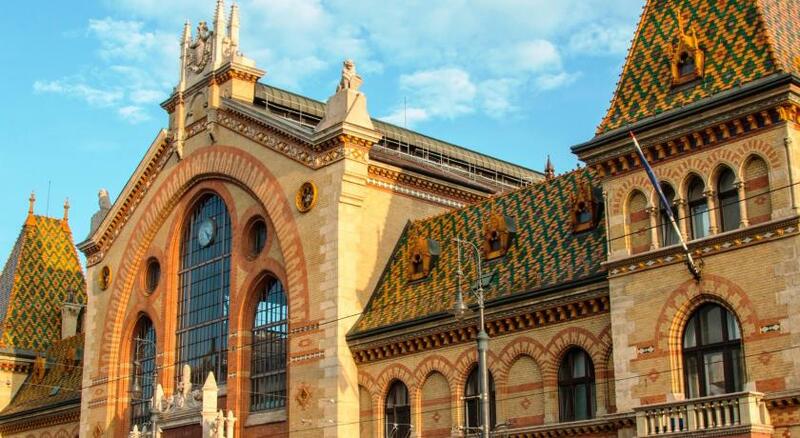 Overall the location is great only steps from Vaci Utca and loved the daily breakfast buffet and afternoon coffee/tea in the lounge. Also really appreciated the complimentary bottles of water by the nightstand. 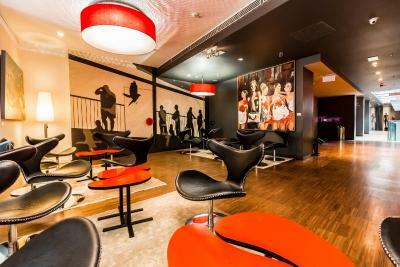 Hotel was decorated modern with an artsy edge. Hotel staff was very helpful and spoke English. Definitely a good value. Staff was willing to help and very nice. Rooms were a bit small but had all amenities and were comfortable and clean. Breakfast was great! A lot to choose from! Complimentary coffee and tea every afternoon was a great addition to help get warm after a walk in the freezing weather. Hotel is located a ~10 minute walk from the center, is a minute to the great market and has trams and metro lines realky close to it. We had a great time at the hotel! Everything perfect! I really enjoyed it and I will return. Wonderful location, perfect english speakers, great breakfast, very clean and cosy atmosphere. I recommend it. 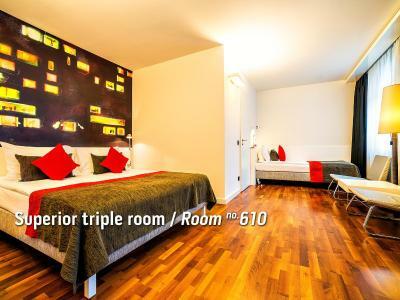 Bohem Art Hotel This rating is a reflection of how the property compares to the industry standard when it comes to price, facilities and services available. It's based on a self-evaluation by the property. Use this rating to help choose your stay! 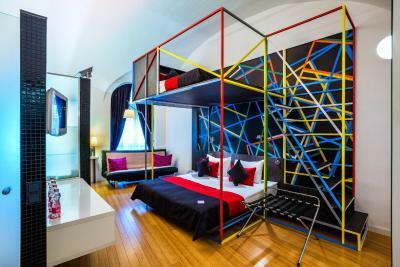 Featuring young Hungarian artists, Bohem Art Hotel in the heart of Budapest combines the style of a hip hotel with the feel of an art gallery. Free WiFi is available in all areas. 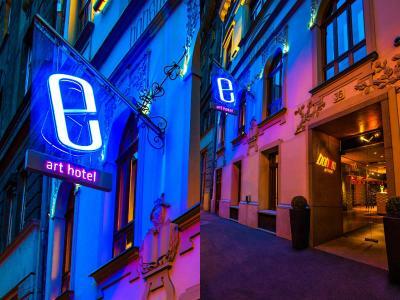 The Bohem Art Hotel is only 150 feet away from the Danube River and the Vaci utca shopping street. 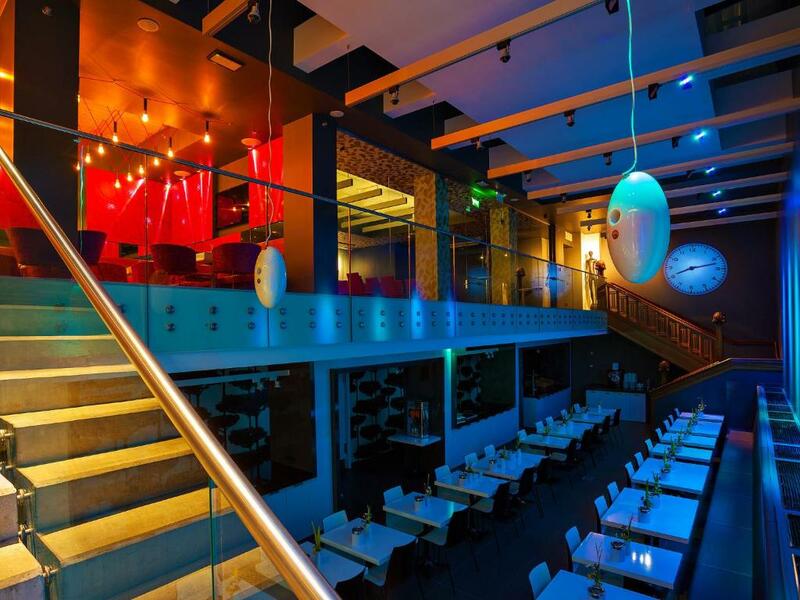 Numerous restaurants, cafés and bars are in the vicinity. 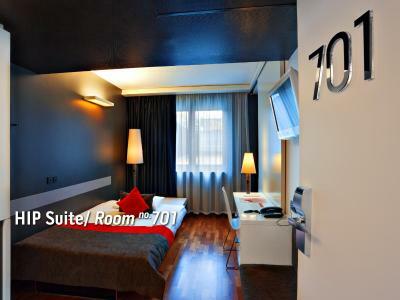 All rooms in the Bohem Art Hotel have air conditioning. They come with a mini-bar, a laptop safe and a flat-screen TV. Wi-Fi is available for free in all of them. A rich, American-style buffet breakfast with sparkling wine can be enjoyed every morning at the designed breakfast room. Coffee, tea, water and snacks are provided free of charge in the lobby daily from 14:00 until 17:00.You can enjoy refreshments at the bar with modern design from 17:00. Fővám Tér transport hub with metro line M4 and several tram and bus lines is within 820 feet, while taxi transfers are also available upon request. 05. 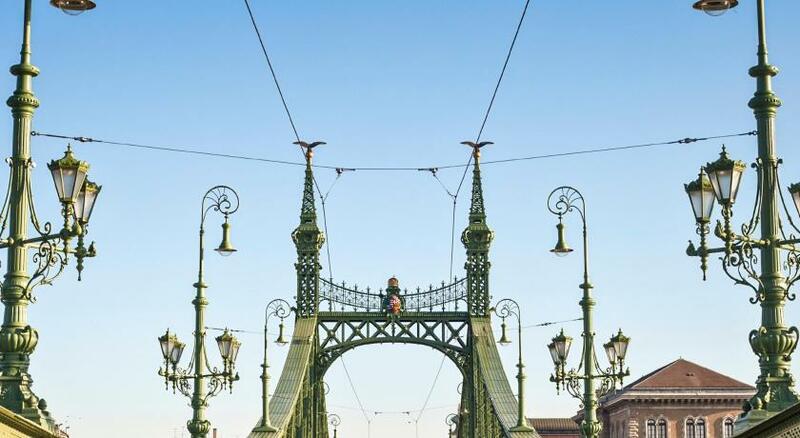 Belváros - Lipótváros is a great choice for travelers interested in food, history and architecture. 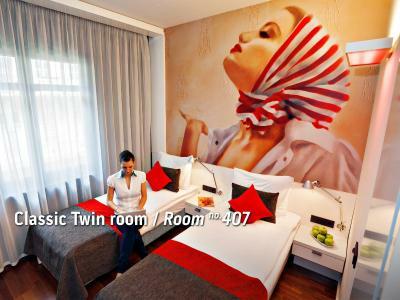 When would you like to stay at Bohem Art Hotel? 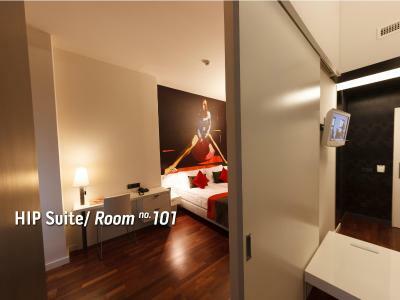 This air-conditioned room with modern furnishings features an LCD TV, a laptop sized safety box and a mini-bar. Modern art decorates the walls. 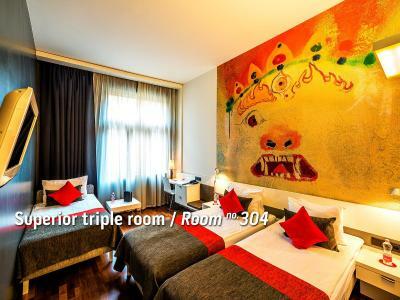 This spacious room with modern furnishings features an LCD TV, self-controlled air condition, hairdryer, laptop-size safe, mini-bar, private bathroom with shower or bath. This spacious room with modern furnishings features a living room with a sliding door, a sofa bed, and an LCD TV, a separate bedroom and a private bathroom. Modern art decorates the walls. 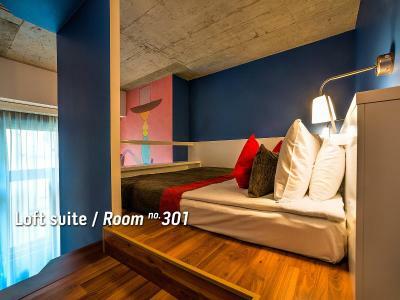 The room with contemporary design features a seating area with an LCD TV, tea/coffee making facilities, an iPod docking station and a coffee maker. 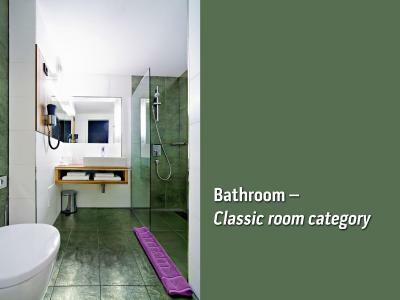 The private bathroom comes with an open shower. This room is individually decorated and features a queen size bed set on a podium and enclosed by 3 walls. The facilities further include an LCD TV, a laptop sized safety box and a mini-bar. A complimentary bottle of sparkling wine is included and can be redeemed in the hotel bar. 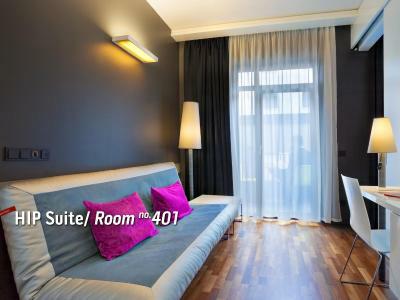 This spacious suite with modern furnishings features a double-storied set-up and a sofa bed. The facilities further include an LCD TV, a laptop sized safety box and a mini-bar. Modern art decorates the walls. 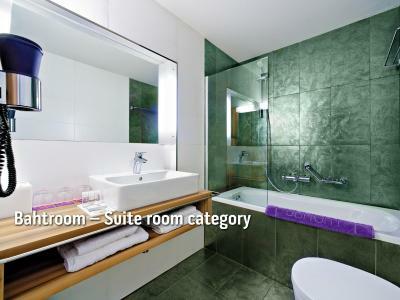 This spacious suite with modern furnishings features a double-storied set-up and has an open bathroom design. The facilities further include an LCD TV, a laptop sized safety box and a mini-bar. Modern art decorates the walls. 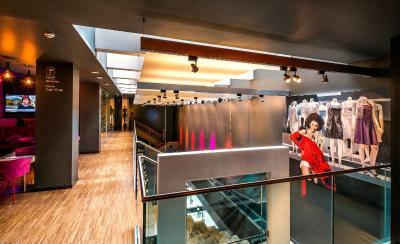 Our hotel conveys the freedom and ease of bohemian life with the atmosphere of art galleries and exhibitions. 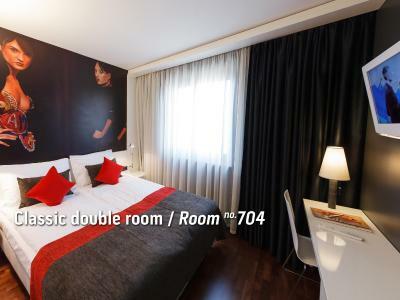 Every one of our rooms has their own ambiance, paintings and other artworks emit the feeling of creative freedom. 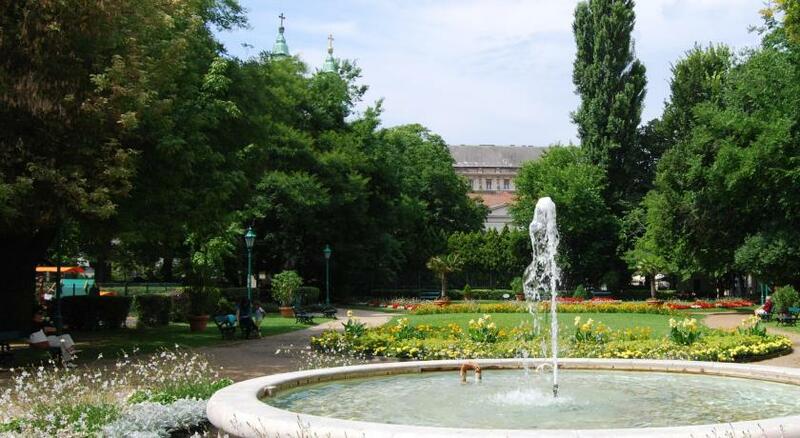 Hotel surroundings – This neighborhood is a great choice for travelers interested in food, history and architecture – Check location Excellent location – show map Guests loved walking around the neighborhood! House Rules Bohem Art Hotel takes special requests – add in the next step! Bohem Art Hotel accepts these cards and reserves the right to temporarily hold an amount prior to arrival. Please note that the credit card which is used to make the booking needs to be shown upon check-in. To check the validity of your credit card and guarantee your booking, the property reserves the right to temporarily hold an amount prior to arrival. The room was quite average and the breakfast area was crampt. In the afternoon there is free coffee and snacks - which consisted of small bowls of peanuts and crackers - It sounded like it would be grander than it was. It wasn't the luxury experience I was expecting, the photos of the bar and the breakfast area have been artfully taken and are smaller than they seem but a nice enough hotel none the less. The breakfast buffet is very impressive. The location is perfect. The staff were friendly and helpful. They will order you a taxi and they also provided us with toothpaste free of charge. Nothing major. Just my pillow was a bit old and uncomfortable. But it was clean. Amazing breakfast and lovely surroundings. 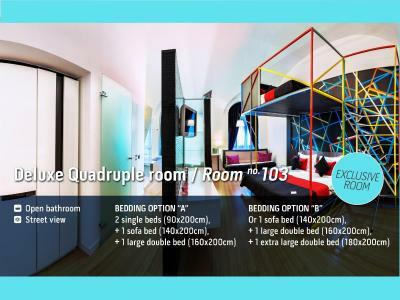 Great location - right between the Vaci street and the Danube. Staff was fabulous and really helpful (printing tickets, storing luggage, SIM card tips, calling a cab etc.). Breakfast was probably the best I EVER had - amazing variety of food, especially cold cuts and cheeses... and vegetables... and eggs... Freshly squeezed orange juice. Basically a mini bakery right there in the breakfast room. Also some unexpected appearances, such as banana bread and couscous. Loved it and still telling friends about it. The room was nice, bed super comfortable, WiFi fast. Great window view of the roofs of Budapest too. Will be back, soon! Breakfast was really good and diverse. The breakfast was good. In a perfect location! Staff very helpful- one lady in particular helped us with bookings and other needed information- she was very polite. An in-room music speaker would be good. Great design and atmosphere. Got a free upgraded room. Coffee was fantastic. Lobby did not feel like a boutique hotel Needs some upgrading .